We make the most of your space! 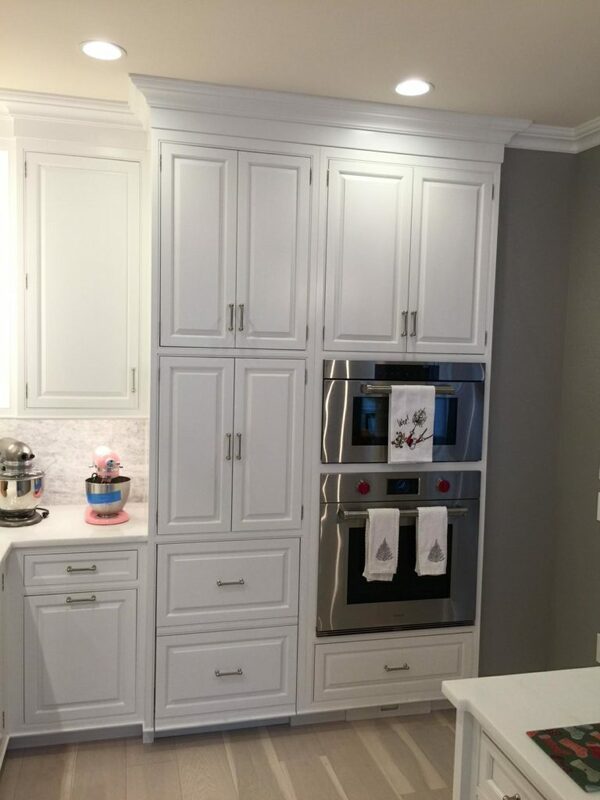 When space limitations arise, Kitchen Expressions shines! 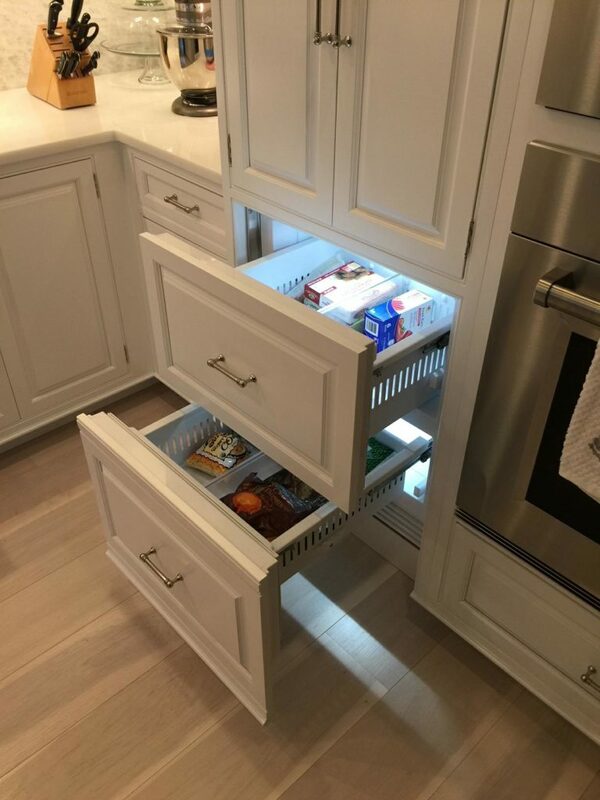 Our client wanted refrigeration, a coffee station and storage all in one small area – by uniquely designing some specialized cabinetry, all the Client’s needs were met and it looks incredible! 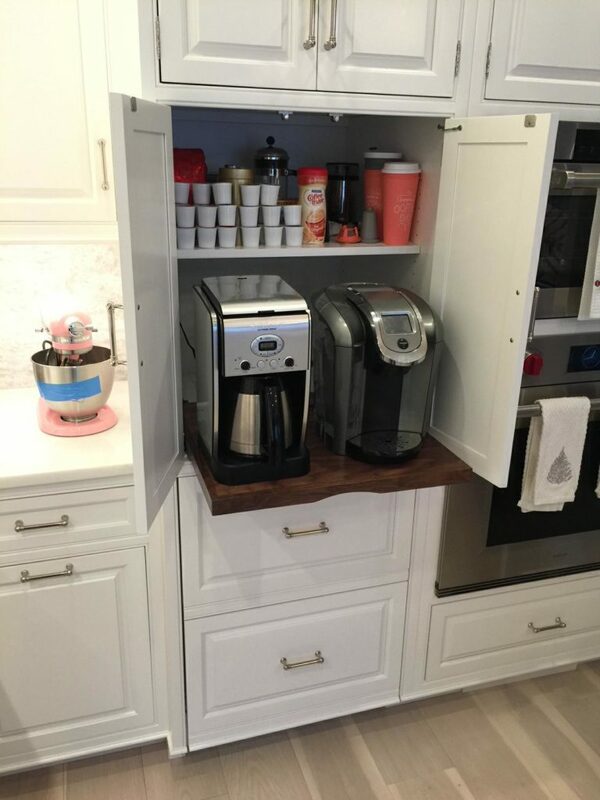 Storage at the top, a pull-out coffee station at counter level and paneled refrigerator drawers below! A very happy Client! A pull-out coffee station at counter level.